A new Industrial Policy will be rolled out soon keeping in mind the comprehensive development of industries, especially priority sectors in the backward areas of Tier-2 and Tier-3 centres, Karnataka Chief Minister H D Kumaraswamy said Friday. Presenting his coalition government's second budget in the legislative assembly, he said, under a multipurpose scheme called "Compete with China", nine industrial clusters will be established in nine districts, aimed at promoting manufacturing in the state. "The existing 2014-2019 Industrial Policy will expire in September 2019. 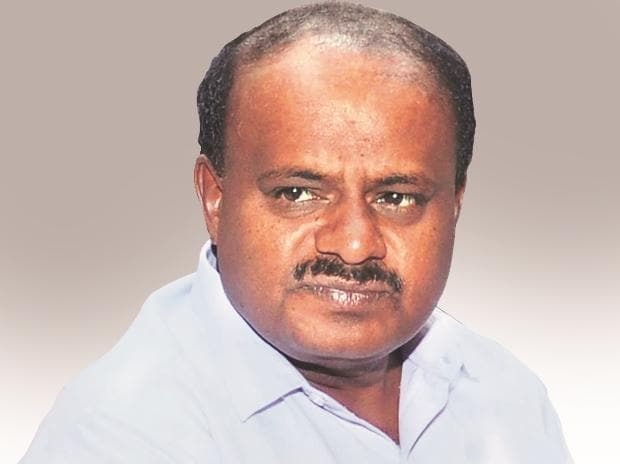 A new Industrial Policy for attracting investment, new technologies and generation of additional employment will be rolled out keeping in mind the comprehensive development of industries, especially priority sectors in the backward areas of Tier-2 and Tier-3 centres," Kumaraswamy said. Vision groups have been constituted relating to such industries, he said and the government is acting upon their reports. Investors are coming forward to establish industries in Koppal, Ballari and Kolar districts, Kumaraswamy said. "In the coming four and half years, we expect that 1 lakh in each district amounting to total 9 lakh employment generation will take place...to continue this scheme in the current year, Rs 110 crore is provided." The Chief Minister also announced that to attract further investment for the State, the "Global Investors Meet" will be organised in January 2020. The budget states that to accelerate the opportunities of investment in the State, innovation and entrepreneurship will be promoted and encouraged by giving thrust in Tier-2 and Tier-3 cities by revising the Karnataka IT, ITES, Innovation Incentives (i4) policy policy. It is proposed to establish new Incubation centres and strengthen the existing ones especially in Tier-2 and Tier-3 cities with the partnership of Educational Institutions, Industries Association and Private Institutions etc, it said. "A fully equipped K-Tech Innovation Hub is proposed to be set up at Tumakuru at a cost of Rs 7 crore to encourage budding entrepreneurs," it said. Under tourism sector, the Chief Minister said Badami will be developed as a world famous tourist place and handicrafts market to introduce the rich heritage of the Chalukyas. "World class facilities will be provided here, and for this purpose, Rs 25 crore is provided for fiscal 2019-20." For sightseeing of world famous tourist places in Hampi and Mysuru, six Double Decker open buses from KSTDC will be launched in line with London Big Bus. "For this, Rs 5 crore is provided," he said. For Mines and geology secor, Kumaraswamy said, for the first time in the country, the survey of leasing of mines using a new drone technology and GPS technology will be conducted at a cost of Rs 82 crore to implement transparent, responsible, systematic and scientific mining. Also, Industrial areas at Arasikere of Hassan district, Nagamangala of Mandya district, Chittapura of Kalaburagi district, Mulavada of Vijayapura district, Kanagala of Belagavi district and Madhugiri (Tumakuru district) will be developed through Karnataka Industrial Area Development Board. Under infrastructure development, the Chief Minister said development of a new terminal building at Bidar Civil Airport with an expenditure of Rs 32 crore will be undertaken and it is expected that airport operations would commence in 2019-20. The Kalaburagi Airport was constructed with an expenditure of Rs 175 crore on 748 acres and the first pilot flight undertaken in July 2018, he said. "A MOU has already been signed with Airport Authority of India with regard to ATC operations." Airplane Operating Agencies have submitted bids under the Regional Connectivity Scheme (UDAN-Ude Desh Ka Nagrik) and it will be operationalised, the chief minister said. "The tender process is in progress in respect of development of Chikkamagalur and Shivamogga airstrips under Public-private partnership (PPP) model.It is proposed to take up Development of Hassan Airport during 2019-20," he said.